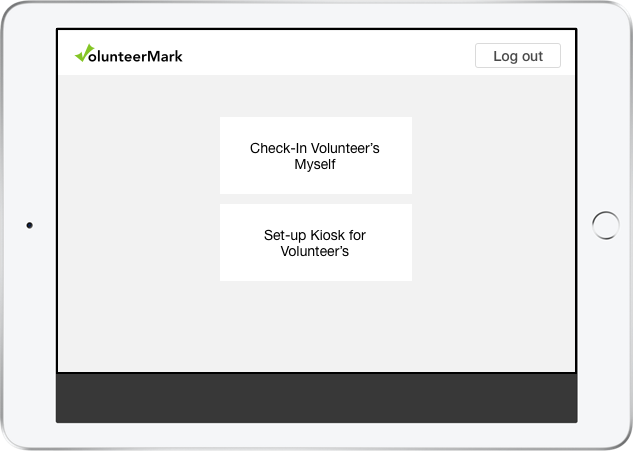 In just a few clicks, volunteers can sign in when they show up for an event with the VolunteerMark kiosk app. To open the kiosk, simply click on your kiosk link or open the kiosk app. No technical set-up or training necessary. Once you open the app on your device, you can direct volunteers to sign in and out on their own. 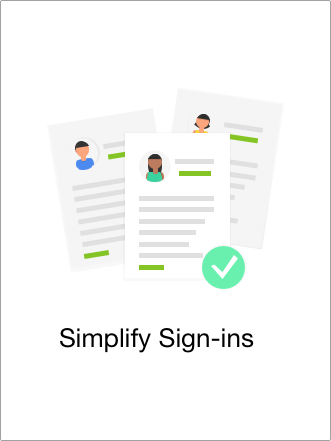 Once a shift is over, the sign-in records are automatically updated to your VolunteerMark account with no extra work on your part. 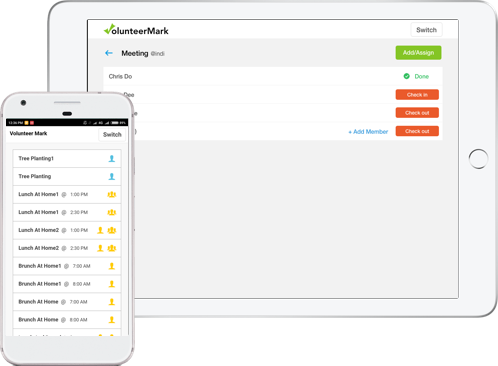 It can be tiring to manually mobilize your volunteers for an event occurring across multiple cities or engaging volunteers in multiple shifts.The VolunteerMark kiosk app was designed to simplify how you track your volunteers during an event. 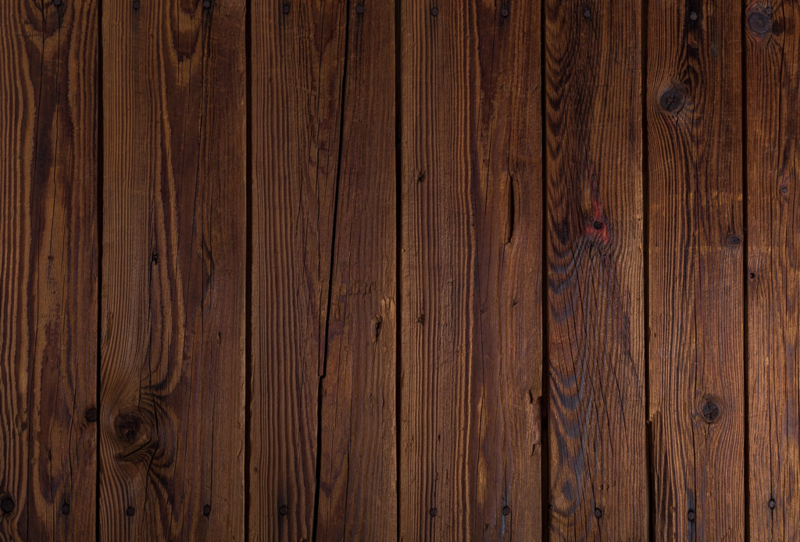 Studies show that keeping track of your volunteer records can help increase your volunteer participation rate. 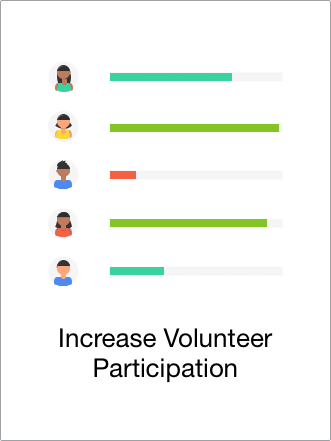 You can classify between regular volunteers and one-timers to increase the participation of volunteers for your events. Volunteers can sign up on the day of the event, confirm their shifts and log hours with a few, simple clicks. Open the kiosk app on your device and ask volunteers to check in and out on their own. How to Check-in volunteers myself (Volunteer Coordinator)? The Sign-in Kiosk is included in the VolunteerMark for no additional cost! 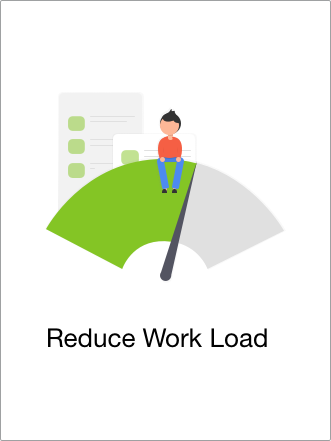 Get a FREE Month Of VolunteerMark.